Thousands of lanterns will be released into the air at The Lights Fest in Kennett Square, PA. The Lights Fest will visit Kennett Square in Chester County this summer. 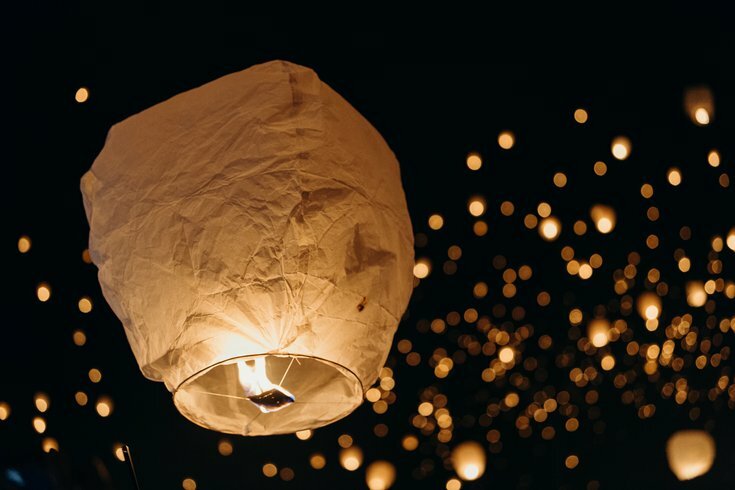 On Saturday, June 22, thousands will ignite lanterns and watch them take flight. The event will take place Saturday, June 22, at Plantation Field. Tickets are currently on sale for $45, but the price will increase to $60 as the date gets closer. Children age 4 to 12 can attend for $15. Completely biodegradable lanterns are used for the festival. They're made from rice paper, string and bamboo. In addition, a clean-up crew gathers and disposes of lanterns left on the site, according to The Lights Fest. Before watching the sky fill with thousands of glowing lights, attendees can listen to live music, dance and eat. Bringing a blanket or lawn chair is encouraged. While waiting for summer, check out images from The Lights Fest at other venues across the country.